Some of us, at some point in our lives, decide to embark on the meaningful path of healing and transformation. Whether it is because we are coming to terms with, and trying to overcome, traits in our behavioral systems that have been long and largely engrained; or whether we are dealing with certain patterns that we have come to see no longer suit us in our lives; these periods are always marked with a similar process. This process starts with self-realization that there is something we wish to change or reconcile with, followed by all of the steps that take us through to the end which hopefully result in changing the deepest cellular and mental fabrics of our lives to walk forward in the form of our fully realized, healthier selves. When I was in my early twenties and dealing with certain lifelong patterns of my own, I was shown this famous poem by my therapist at the time. I have always considered this poem the perfect example of the process of healing deeply ingrained patterns and behaviors and will explain what I mean below. The process that this poem so beautifully illustrates with the metaphor of a hole in the road, applies to all who embark on their healing path whether they are trying to come to terms with something as externally-apparent as overeating, or as unconscious and habit-driven as habitual lying, or to something as internally-driven as failing to make healthy love connections because of subconscious wounds. It applies to all and can be referred to mentally when one is knee deep in their own process. This applies to the place we are at when we first begin our healing journeys. We have been living for so long doing the same thing over and over again and continually finding ourselves in the same situations, no matter how many times we have been there before. The hole is familiar to us yet instead of being conscious about its presence, we continue to fall in. This describes what occurs when we realize that there is something that we indeed wish to change. 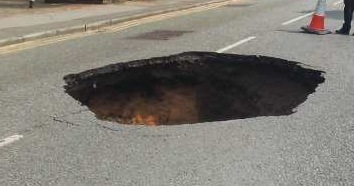 The hole is now something we can see and we acknowledge its existence yet we continue ignore it, hoping that it will go away, and not fully understanding how we should deal with it. It’s easier to pretend it doesn’t exist. This is part of the denial process that happens upon first glimpse of the desire for change. This describes the point when our consciousness of our behavior becomes stronger than the denial. We are aware of the actions that are unhealthy and can see them clearly but we are still stuck in going through them and start to notice when they occur. We will start to see, after the fact that we just did the same thing we always do but it is with a clear vision and at least it has now moved up into our real consciousness as an obstacle. This describes the point where we actually can see that we are about to get into the same situation again yet instead of unconsciously going through the same thing over again, we learn to avoid the actions that will get us in the same place we are trying to avoid. This awareness makes us stronger and gives us more ammunition to refuse our age-old habits and actions. We find ourselves empowered by the fact of our “near misses” with the hole and start to gain strength in our conscious ability to not take the same actions as before. This describes the point when we can see our patterns slipping away because we have successfully confronted them. Instead of going through any of the same motions of the past, we have now embarked on a totally new way of walking where we are no longer prone to our own hole. Noticing the “hole” or pattern in your life that you wish to change. Start to notice that you are about to “fall in” BEFORE you do. Start to avoid the same situations and paths that have led you to the “falling in”. Start to choose an entirely different route! 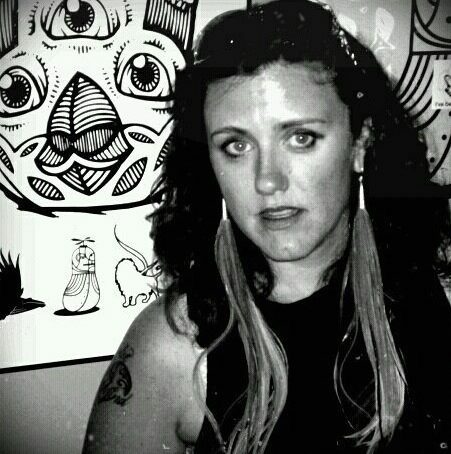 Newtopia managing editor KIMBERLY NICHOLS is author of the book of literary short fiction Mad Anatomy and has exhibited as a conceptual artist throughout California for the past decade. Her non-fiction articles have appeared in magazines and media internationally. She is the founder of Tapping The Inner Palette in a role as healing and wellness facilitator. Follow her daily beat poetry on Twitter @LITGFOA or her arts and literature blog. I love the way you expressed your reasoning on this. Thanks for sharing.